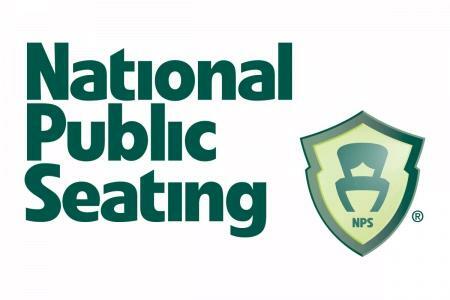 Whether it's a wedding banquet, training seminar, or a last minute social gathering booking, you'll need a quick deploy & transport table solution for your upcoming event and the Folding Table & Dolly Package by NPS has got you covered! 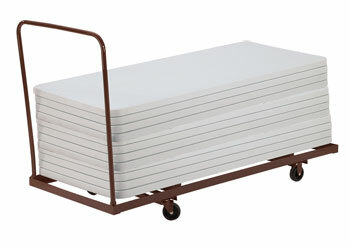 These tables can easily be set up, folded, quickly transported and stored with the included dolly. The table is made from one-piece blow-molded plastic with a smooth top texture for smooth note-taking, computer use, and examination writing. The table also resists water, gasoline, paint remover, battery acid, and drain cleaner! 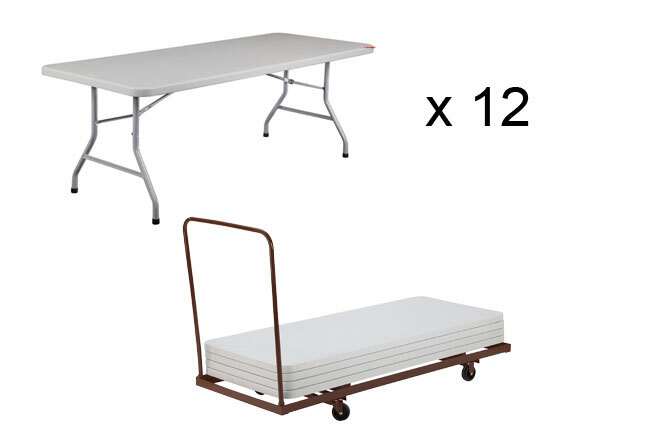 Measures 30" W x 72" L x 29 -1/2" H.
The DY3072 Table Caddie holds up to twelve 72" folding tables which makes storage, transport, and set up quick and efficient! This caddie can hold 4,5 or 6-foot plastic or laminate folding tables that can stack up to 12 high with a 1200 lb. capacity. Features include four casters (2 swivel & 2 stationary) and a strong brown powder coat steel & tubular grip handle provide a solid and durable transport solution. 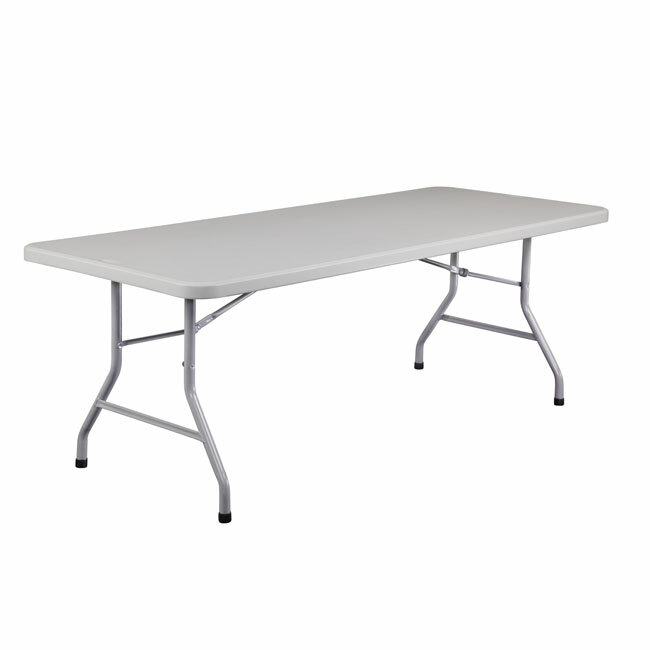 Measures 31" W x 74" L x 43" H.
Lightweight Plastic Resin Folding Table- 30" X 72"